a special group of 250 adults with developmental disabilities. Our brother Tom Durbin has a developmental disability and is a full-time resident at Lambs Farm. He is a ten sport athlete participating on every sports team sponsored by Lambs Farm and was the Lambs Farm Special Olympic Athlete of the Year twice, most recently in 2012. Tom also works full time at the on-premises Magnolia Café and Bakery. State funding is minimal and Lambs Farm depends on the generosity of individuals and private corporations to maintain their programs and services. 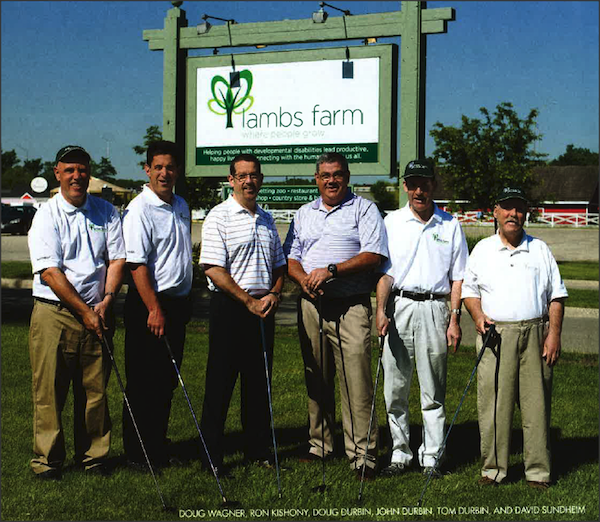 Exclusive Woodworking is proud to support Lambs Farm.